This book starts with an examination of some of the problems posed by Florentin Smarandache, one of the foremost mathematicians in the world today. The problems are from many different areas, such as sequences, primes and other aspects of number theory. Some of the problems are solved in the book, although in many cases the author raises additional questions. The second part of the book deals with a function created by the author and given the name the Pseudo Smarandache function. 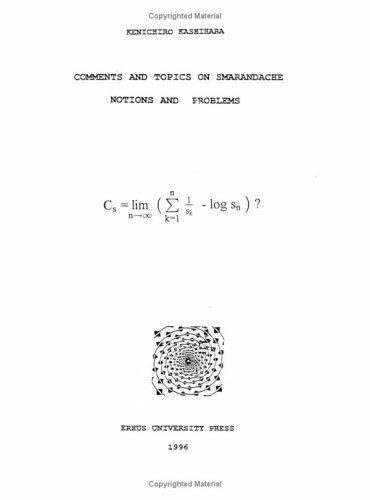 A collection of 27 Smarandache's problems which the autor solved by 1999. 22 problems are related to different sequences, 4 problems are proved, modifications of two problems are formulated, and counterexamples to two of the problems are constructed.